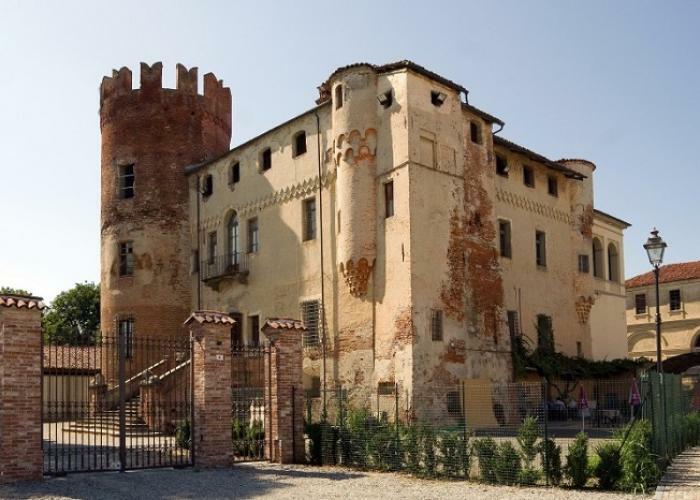 DUNCANVILLE—If you’re traveling to Northern Italy anytime soon you might be surprised to find a display in a 1,000-year-old castle honoring Duncanville. That’s because since 1998, Duncanville and the municipality of Monasterolo di Savigliano have been sister cities. 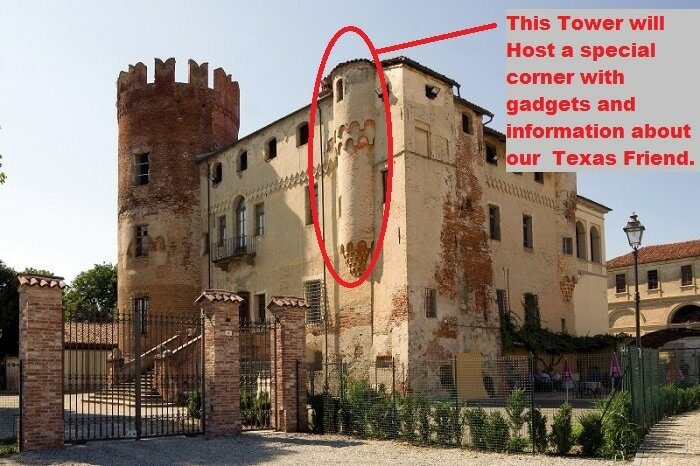 The folks in Monasterolo di Savigliano recently decided to take the relationship one step further, dedicating a special corner to Duncanville during a recent castle remodel. 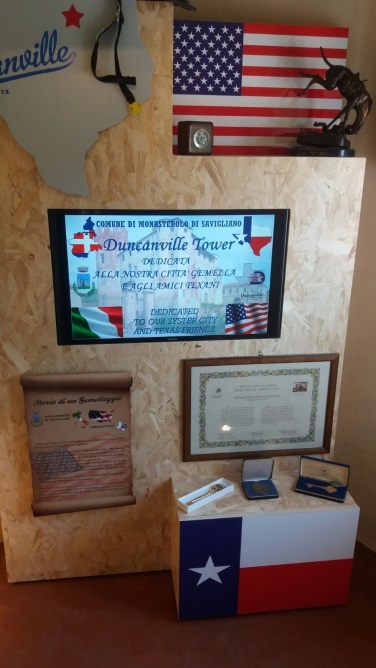 Located in the southeast tower of Il castello di Monasterolo di Savigliano, is the “Duncanville Tower.” The grand opening was held in June during a visit to the Italian municipality by Texas Senator Jane Nelson. The corner showcases Duncanville with a movie and the history of the sister city relationship. It’s a relationship that had its beginnings in the early 90s. “It was through the friendship between Doctor’s Nancy and Cecil Wood and Mr. Dario Crosetto, a physicist formerly with the “super collider” and a native of Monasterolo di Savigliano, Italy,” said Claudia Garibay, Public Information Officer for the City of Duncanville. In 1997, Monasterolo Mayor Antonio Prochietto led a delegation of Italians to a semi-formal visit to Duncanville. This March current Monasterolo di Savigliano Mayor Marco Cavaglià visited Duncanville with his wife to reaffirm the partnership and friendship between the two cities. “It has been a great moment where we remembered the history of the Twin City Relationship and the friendship between our cities,” said Cavaglià. On a personal level, there have also been numerous meaningful exchanges between citizens of both cities. According to Garibay, this includes the City of Duncanville Flag, a Key to the City, a personalized street sign, a book on the history of Duncanville and the official proclamation decreeing Monday, March 21, 2016 as Sister City Day in Duncanville. Monasterolo di Savigliano originated from its castle that was built in 1241. Currently the castle is located in the town square and serves as the city’s municipal building. “Having a Sister City abroad provides our community, as well as communities from different parts of the world, an opportunity to learn about each other’s cultures and best practices,” Garibay concluded. According to www.sistercities.org, a sister city, county, or state relationship is a broad-based, long-term partnership between two communities in two countries. A sister city, county, or state relationship is officially recognized after the highest elected or appointed official from both communities sign off on an agreement. The program was founded by President Dwight D. Eisenhower in 1956.